An independent growing initiative is aiming to transform the landscape of Bromsgrove’s green spaces, turning them into free food centres and wildlife havens. 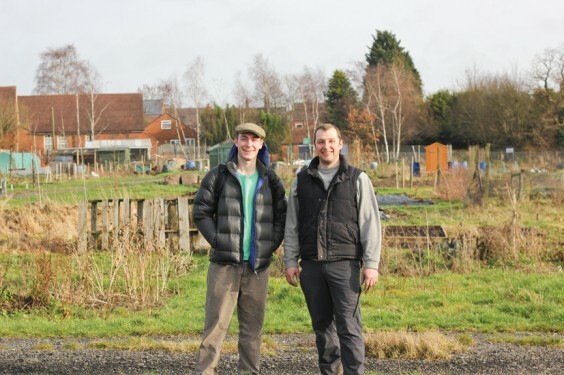 “Bromsgrow” hopes to turn Bromsgrove into a household name for community food projects over the next five years and needs the support of local people to achieve this vision. The green spaces, all council-owned, will change from little-used areas of mown grass and weeds to beautiful, abundant orchards and community gardens . . . well, that is the plan. Bromsgrow is currently being managed by two volunteers, Nick Raybould, of Finstall, and Marcus Draper, of Aston Fields. They have been working hard to establish relationships with Bromsgrove District Council and Worcestershire County Council and will be planting a small pilot mini-orchard as part of Bromsgrow’s launch. A bigger project is then being discussed for November and planning is already in place for that. To make these projects successful, Bromsgrow is looking to build a core group of members who are interested in planning and implementing the designs for these green spaces and would like to hear from interested people. If you would like to be involved but want to take more of a practical, hands-on approach, then Bromsgrow would also like to hear from you. “Orchard planting can be fun for everybody so all ages are welcome,” Nick told The Village. Community involvement is what Bromsgrow depends on and as the project grows it hopes to become a kind of ‘middle man’ between the councils and local communities who want to plant an orchard or similar scheme in their area. Bromsgrow would take care of planning, health and safety and ordering trees while the community would be provided with everything they needed to see their idea come to fruition. Training and activity days helping with pruning, mulching and harvesting will also be available. “Hopefully with some luck and hard work we will see Bromsgrove become a town that produces enough seasonal fruit for everybody,” said Nick. Above: Volunteers Nick Raybould (left) and Marcus Draper want to put green spaces to good use.